When you receive a beautiful bouquet from a loved one, it can be hard to throw it out when the time comes-so don’t; make pressed flowers! If you learn how to press flowers, you need not lose all of the flowers from your lovely bouquet. Red roses from a spouse, carnations and daisies from a friend-all of these are flowers that can be easily preserved by pressing. I also like to preserve the memory of my spring and summer gardens by making dried pressed flowers from them. Pressing flowers can be done simply by using heavy books or the microwave. 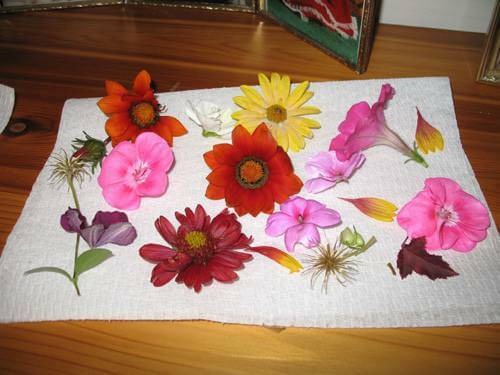 Your pressed flowers can be used to make crafts that will preserve precious memories of your bouquets and gardens. Flowers and foliage that work the best for pressing are flat, not fleshy and thick. When flowers are pressed in books they must dry, and this can take several weeks. Thick, fleshy flowers like roses mildew before drying; however, pressing flower petals individually from roses works well. There are specialized methods of pressing whole roses as well which are discussed in the provided links. Flowers that respond well to pressing are chrysanthemums, daisies, hydrangea, roses, baby’s breath, carnations, Gerbera daisies, statice, zinnias, violets and pansies, but this is just the tip of the iceberg. Whatever flowers you choose to press, pick ones that are in excellent condition. Don’t be afraid to experiment! To use a book as a flower press, open the book to about the middle, then lay down tissue paper, Kleenex, or white paper. Position your flower or petals (make sure your flower is not thick! Remove the calyx if need be, or remove petals and dry those). Put another paper on top, sandwiching the flower in between. Close the book and then stack more heavy books on top of that book, or other heavy items. If you have a lot of flowers to dry, you can put them in pages throughout the book but leave an inch or more between pages with flowers on them. Each pressed flower should be dry and crisp in a few weeks. Handle them carefully as they are very delicate and brittle. Heavy books such as phone books or encyclopedias work well for creating pressed flowers, however if you like you can buy or make your own flower press. If you want to make a press, you will need two pieces of plywood and 4 bolts and wing nuts. The plywood is going to sandwich layers of cardboard, newspaper, and blotting paper; the flowers will go between these. Tighten the bolts and nuts to apply pressure. You can dry several flowers at a time this way. The flowers will go between two sheets of paper, like printer paper. This will be sandwiched between newspaper or paper towel, and then cardboard. Layer stacks like this until all of your flowers are in the press, then put on the top plywood piece and tighten the bolts and nuts. Replace the newspaper or paper towel every few days, as they will be damp. In two or three weeks your flowers should be dry and papery which means they are finished and ready to use. Microwave pressing often preserves the colors of flowers better than traditional pressing, and it is much quicker. This is especially good for thicker, fleshy flowers that take longer to dry, such as roses; this method of making dried pressed flowers. There are several ways of doing microwave pressing. One way is to make a press out of ceramic or glass tiles. In this method you will sandwich your flowers between sheets of printer paper, then put this between paper towels; this whole “paper sandwich” goes between two tiles. Microwave for 30 seconds at a time or less, and then check the flowers. When they are crispy and dry, they are done. Cardboard can replace ceramic tiles if need be as long as rubber bands are put around the bundle for pressure. Flowers that have been flattened for an hour can go in the microwave between paper towels on a plate. 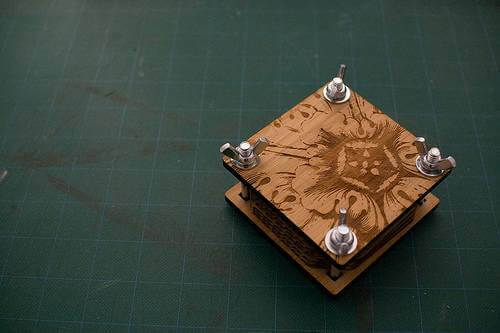 You can also buy microwave flower presses. Don’t put metal in the microwave! Experiment with microwave and traditional pressing to see the different results you get. Now that your flowers are dried and pressed, the fun begins! Use laminating pouches to make them into bookmarks or pages for a scrapbook; affix them to candles; use them to decorate homemade cards; use them to embed into homemade paper; create scenes to put in photo frames; embed them in resin to make jewelry. 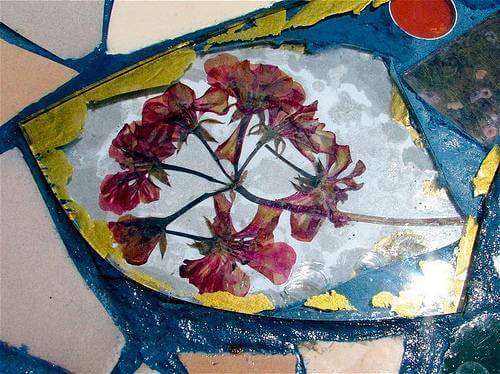 Remember though, the more sun the pressed flowers are exposed to the more they will fade and if they are just glued to paper, humid environments can destroy the item. Some of my favorite crafts to make are pressed flower pendants. I use bezel pendants which can be found at most craft stores in the jewelry making section and I line them with paper or cloth. Next, I apply white glue to my dried flower using tweezers to hold the flower and a toothpick to affix the glue. The final step is to affix Epoxy Dots the same shape as the pendant on top of the flower and pendant. Using Epoxy dots is much easier than setting flowers in resin. These pendants are reminders of your special bouquet that you can wear.